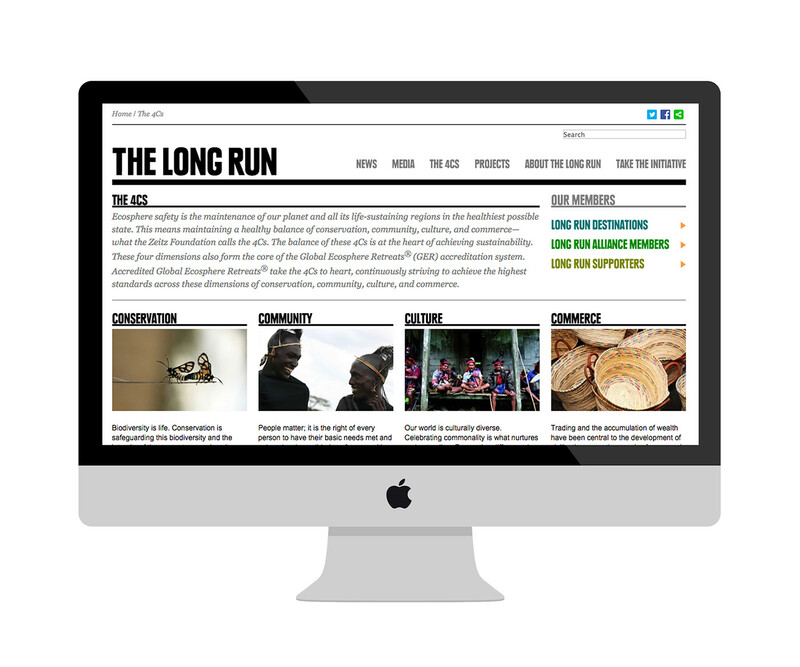 The Long Run Initiative is the flagship initiative of the Zeitz Foundation. 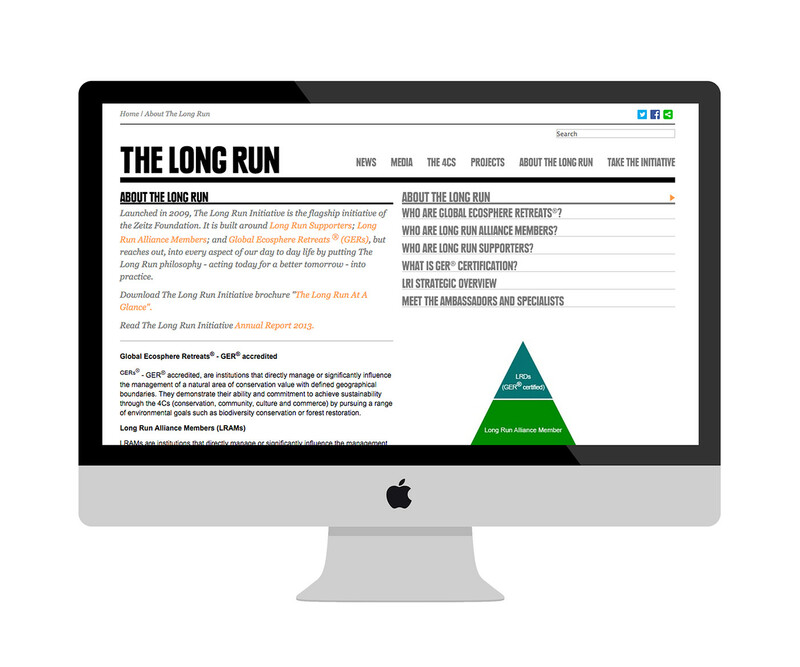 Built around Long Run Supporters; Long Run Alliance Members; and Global Ecosphere Retreats. 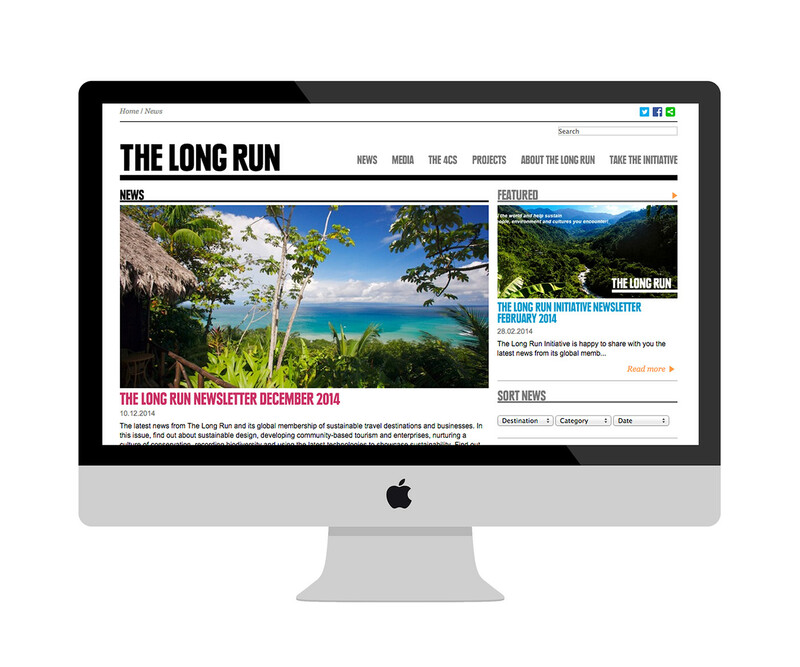 This is destination marketing with the environment and sustainability at its heart. 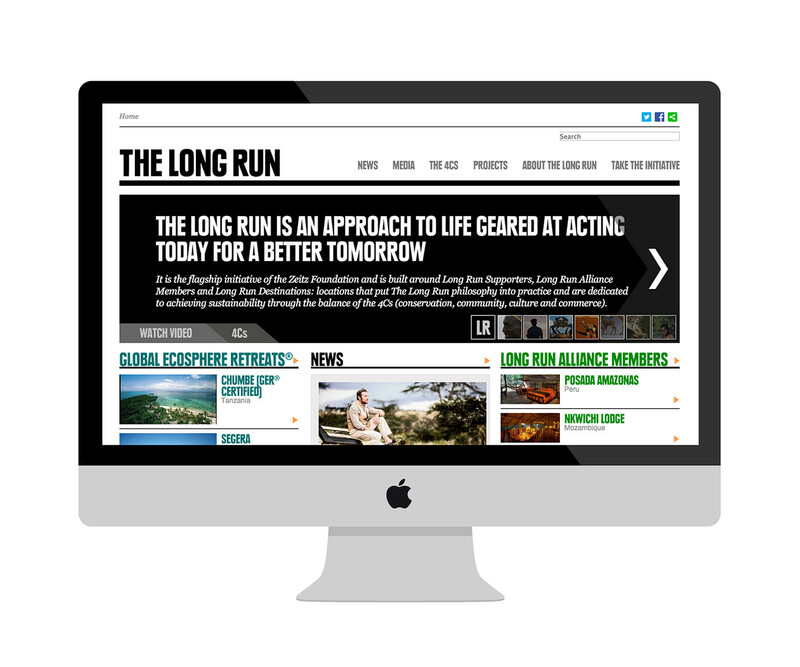 The Long Run is an international program aiming to connect growing communities, businesses and organisations whilst committing to the wellbeing of a healthy planet. on-IDLE has designed it’s typographic layout style, maps, news and created two features, a search function and news sign up. 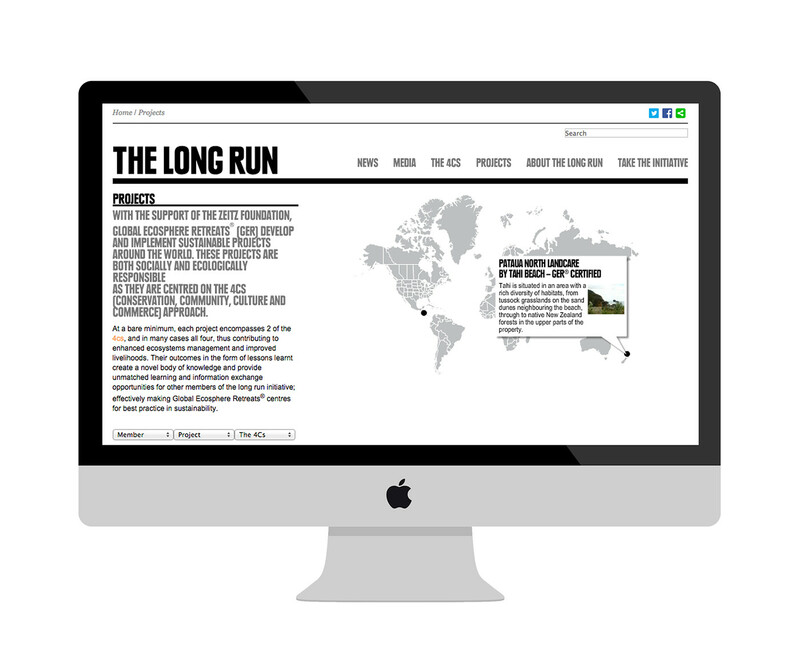 This layout style incorporates the brands existing brand values by using a clean but bold typographic layout. Creating the sign-up function, allows TLR to update it’s various, distinctly global target audiences on a direct one to one basis.